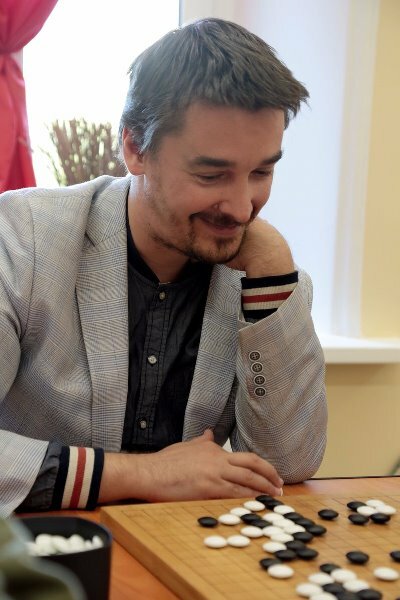 Alexander Morozevich was once live-rated world no. 1, but at the age of 40 the Russian grandmaster has dropped to world no. 79 and barely plays classical events. In a recent interview he talked about what he’s currently up to, explaining his fascination with Go and how he’s watched as computers have conquered that game just as they did chess during his career. He also talks about what he sees as the chess world’s reluctance to take cheating seriously, despite computer “doping” being so much more powerful than drugs in other sports. Murad starts the interview by asking Morozevich why he’s “betrayed” Caissa and his many fans in the last couple of years by switching from chess to Go and becoming a propagandist for that game. Morozevich: Let’s start with a counter-question: where did I propagandize Go? Murad Amannazarov: You play in Go tournaments, you hold Go classes. By the way, I hope you’ll tell us where you hold them. But where’s the propaganda in that? From my point of view I’ve gained a hobby. A person has the right to have a hobby, doesn’t he? So it’s only a hobby? Well, of course it’s a hobby. Go can’t be my profession, I understand that perfectly well. It’s not that I’ve been disappointed in chess and decided to start from scratch, because it’s clear that I’ve got neither the time, opportunity nor anything else in order to become a professional there. For me it feels more like I’ve learned a foreign language i.e. if I learned something like Spanish, Chinese, Arabic or some other language I’d also need to practice it from time to time and that, of course, would surprise no-one. It turned out that I “learned a language” – I got acquainted with playing Go, it really drew me in and it’s the first game after chess that has really enthralled me. To some extent I’ve learned to play it, which by analogy is like someone more or less acquiring a language at a beginner level. Then he travels either to the country or finds some native speakers, or he reads books i.e. he develops that in some way. I do more or less the same: I go along, I chat, sometimes I play tournaments, but it’s clear that it’s only as a hobby, of course. It’s not a new job, or a new profession, or a new path. At least from the point of view of achieving any results I don’t have any illusions. I’m 40 years old and that would be extremely naïve. I understand perfectly well that there are roughly ten thousand 10-year-old Go players who would beat me. Therefore you have to understand that if you’re competing with millions and among them you’re roughly in the 4th million, or something like that, then no doubt there’s no point having any great illusions. A different issue is that somehow I see very similar processes in what Go is going through and what happened in chess 10-15 years ago. That’s all happening to them and is comparable to what happened to us – it’s not even retro-analysis but as if you have another view of the process that we already saw in chess. When the first computers came along they gradually gained momentum, became stronger and stronger, and the way chess players reacted to that then, what they expected of where it would lead, how they began to use them – the same is now happening, the same computer revolution, only it’s as if it’s only just begun. Until 2015 that was the only intellectual game in which professionals were stronger than machines, and only in the last year or year and a half have the first harbingers appeared saying that yes, the end of Go has come. For now it’s not quite formalised, but gradually, I think, they’ll follow the same path that we followed in chess. Machines, of course, will take up an absolutely dominant position, despite the fact that of course the calculating algorithms, the evaluation algorithms are quite different. As far as I understand it the algorithm used by AlphaGo, the most successful program, is a Monte Carlo algorithm. That was also one of the main computational approaches in chess, but it didn’t become common. Machines reached a maximum of 2400 with that. After all, our game is about more direct selection, while there it was possible even to use that algorithm, which is quite interesting. The AlphaGo computer already has its own "movie"! In the last 1.5-2 years I really have played little classical chess and I’ve mainly played rapid and blitz. You can’t say that I’ve quit chess, but it’s more that I’ve simply changed the vector of my involvement. I devote more time to individual coaching both for myself and some students. I’ve occasionally begun to commentate, when asked, and I do some other things. In the Tea House I’ve launched classes in chess, and Go for a wide audience, with the aim of uniting fans of intellectual games under one roof - and in a place where there isn’t just chess, but the Tea House itself, tea, oriental philosophy, where you can simply sit and talk, even, perhaps without any focus on the game itself – some kind of intellectual club. And, correspondingly, I quite often play both blitz and rapid chess. In 2016 I probably played about ten tournaments, though little classical chess, it’s true. My interest in it has declined and I’m not playing it much. 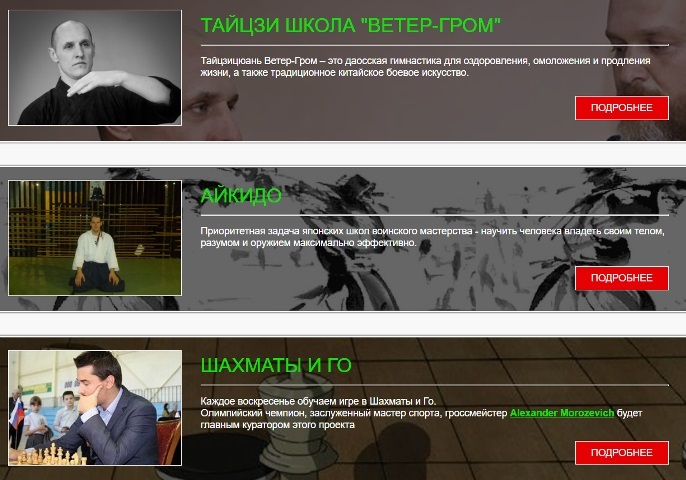 The tea house that Morozevich talks about is the DAO Tea House in central Moscow, where you unexpectedly find chess and Go lessons from Alexander Morozevich among a list of services that include Tai Chi, Aikido and Qigong (it was through the latter that Morozevich got involved with the organisation). I unexpectedly see that there’s almost no interest from chess players. That’s a little bit remarkable, but you need to accept reality as it is, and I don’t see it as a challenge to myself. I don’t have any complexes about it, simply it seems that currently people have no need of it. For Go I thought that there would be almost no-one, and I thought that if 2-3 people came that would already be a big success. It’s a much less popular game, one that not many know about, and in general we did no advertising, so it was just that whoever came along we’d teach and give advice. Once there were classes at the end of May, before I travelled to Kazan for the Russian Grand Prix, and no-one came for chess while for Go there were seven. That, of course, was something out of the ordinary and it was never like that again, but that one day stuck in my mind. Ideally I’d like to create some kind of intellectual club, so that chess enthusiasts can also learn about Go, learn about tea, learn about oriental culture and talk in an informal atmosphere. In just the same way, those who come for Go can also study chess or talk to chess players. The tea house offers a tea ceremony before and after. Those who come for chess: first a tea ceremony, then the classes, then again a tea ceremony. For those who come for Go it’s the same. By the way, the teas there are good, true Chinese teas and you can go up, sniff them and choose. I’ve even begun to differentiate some of the teas myself - they have unusual names, but I know which ones I like more, which less, which are good in the morning, which are good in the evening and so on. On the day of classes I drink my fill of tea, getting it before chess, after it and after Go. You mentioned that now computers have arrived in Go and that will soon put an end to Go. Essentially that’s already happened, but it’s still not so obvious. For me the end is when every user has a program that plays twice as strong as any professional. For now that hasn’t happened i.e. you can’t get the level of AlphaGo on a notebook and have it explained for you. Probably that will still take another 3 or 5 years, then that’s it – Go will be finished. So in those terms the end has already come for chess? Of course, in chess the end came a long time ago. The end from the point of view that the computer is obviously stronger – that’s not the end of the game itself, just as it won’t be the end of Go, but an artificial intellect has appeared that’s clearly stronger. People say that cars travel faster, but sprint races are still held. Well, essentially those are different things: cars and races. And the problem of cheating – do you think that’s a catastrophe for chess? The problem of cheating isn’t a catastrophe if only because I don’t see the majority of professionals perceiving that problem as a catastrophe. If the majority of chess players think that it’s either normal or it doesn’t exist, then there’s no kind of catastrophe. If the problem was serious then probably people would somehow speak out, do something or fight in some way against it. For you it’s a serious problem? For me it’s not a serious problem, but it’s something that I perceived a little more sharply than the majority of my colleagues. In 2005-6 I spoke out quite actively in favour of already back then taking some measures to fight against it i.e. I was active, I wrote something, made suggestions, engaged in some activities, but my colleagues didn’t give much support, so that over time I realised that if that’s the case then it’s not so terrible. No, I wasn’t in Khanty-Mansiysk at all. They caught someone, yes. Individuals can and will be caught. The issue isn’t who you catch, because we’ll nevertheless catch fewer than there are. The issue is the perception. If the majority consider it normal or don’t consider it a big problem then that’s how it is. If it was a problem then chess players would have achieved more clear-cut measures and not ones which leave a tonne of loopholes and freedom for those who nevertheless want to cheat. We’re still in some kind of childish period, so to speak. It’s a normal problem, standard for sports. It’s simply that in other disciplines the majority of sportsmen, as far as I understand it, dope at their peril - they fight for a 5-10% increase in their result, and people go for that, because those fractions of a second are very important and can affect their fate and their preparation over the course of 5-10 years. In chess, meanwhile, computer doping doesn’t have a 5-10% but almost a 100% effectiveness i.e. you control the course of the game entirely and know the result of the game in advance. In other sports you never have such 100% certainty. If I play with a computer against any top player then I’ll literally beat him however I want. Here it’s important to have a good operator who understands where computers can go wrong, and that’s all. Sooner or later a person will lose his way. Naturally, with such a superweapon, it’s naïve to assume that we’re somehow special people, and that chess players are some kind of elite caste where even to think about such a thing is considered strange. I had discussions with my colleagues, and when the topic of who might use it and who wouldn’t came up they would say: let’s agree that such and such could never do it. I asked them: but why? And they responded that he’s so, for example, good. While there’s such childishness in people’s minds it’s impossible to work clearly, because it’s important to grasp that it doesn’t matter how someone looks, it doesn’t matter what his rating is - anyone can use it. That doesn’t mean that we should become paranoid and suspect everyone, but if there’s such a superweapon then you should grasp that in principle it’s possible. At the same time we understand that, thank God, the overwhelming majority of games are played fairly, but you have no guarantees about anyone. Even now, despite our having wasted quite a lot of time since 10 years ago, we can still alter the course of that battle, but that’s only if we set ourselves the task. And do you see criteria for a system that could be developed in order to fight that superweapon? The main criterion is the desire of chess players themselves. There’s no desire at all, but there is a union. That means that the situation we have currently suits the majority, although objectively we should realise that there’s doping that gives a 100% result. But what recommendation or concrete points would you propose? What’s missing just now in order to combat that weapon? What isn’t FIDE doing or what isn’t Sutovsky doing with his organisation. You can propose various things, but once again, it’s foolish for just one person to propose them. Who does it suit that people play against them with computer help? No doubt it suits almost no-one, but the majority of chess players have quite a loyal attitude to it. Passively they’re against it, but actively they won’t do anything. In Go, no doubt, it will soon be the same. For now, of course, the situation at tournaments there is unthinkable, in chess terms. You mean that no-one is checked? I sit with a computer at the table and I quite often speak on my telephone. You record the game on a device and can look at whatever you like. It’s still the golden age for them. There’s a code of behaviour, of course – it’s better not to make a noise and not to disturb people, but there’s no particular monitoring, because until lately computers weren’t effective. And even if you somehow were clever enough to load up some kind of engine then, first of all, it won’t be so strong, and secondly, it’s by no means a fact that you’ll manage to use it correctly, as the game is somewhat different, and it rather gives you a percentage winning chance, an evaluation of the position, rather than a particular move. So it’s possible to get useful information about the balance of play, and many use that. And Go has more variations than chess? Many people try to make use of that information about the balance of play. Of course not everyone, but exactly those who aren’t sure of themselves sometimes do that. It’s convenient in that you can estimate and calculate for yourself and then compare that with the result of the program, allowing you to calculate a clearer course for further action. For example, you think that you’re three points behind, but the program says that you’re ahead by four and so, accordingly, you can dramatically change the way the play is going, or vice versa. In terms of classical chess over the course of your career you’ve had a few occasions when you’ve lost a significant amount of rating but then returned. Are you making serious plans to try and return to that level again? If I set myself such a goal then perhaps it’s achievable, but it’s just not entirely clear why I would do that. You now work on chess much less than 3-4 years ago? No, I work quite regularly – as I’ve said, I both train and work and so on, just from a different angle. Not for the sake of particular results. It’s not a race but more working either for myself or for those with whom I’m working, because that work has to go on since chess is, in any case, my main occupation. And who are you working with now, if it’s not a secret? No, it’s not a secret. Well, more often than with others I work with Indjic and we’ve been working quite intensively for the last year. There are a few more people who don’t really want me to advertise the fact. In the tea house, again, there are classes, and there’s a narrow circle of “chosen ones” who I’m always open for. Your last tournament was in Biel. You had a game against Studer where you played 13.h4, then 14. a4, then 16.a5 and 17.h5, after which Studer was understandably stunned and lost quickly. That was bold chess. You didn’t manage to win the event, but of course Biel is your city. You’ve won there a lot of times, and perhaps it’s your favourite tournament. Are you now planning to play in any kind of interesting tournaments in the near future? If I’m planning something then it’s mainly rapid and blitz. 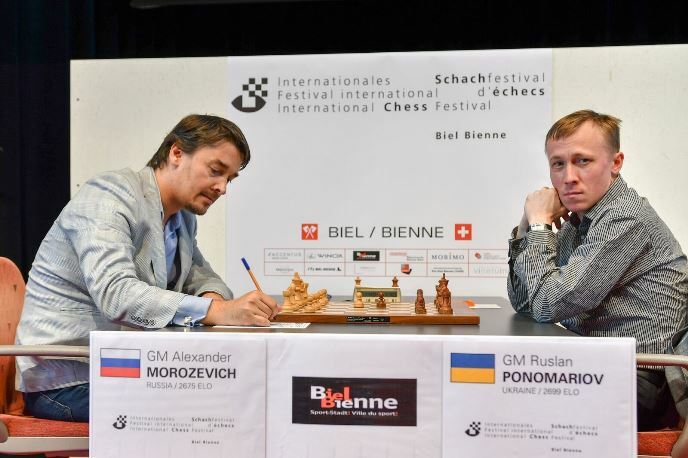 Classical is quite a rare genre in Russia, but nevertheless I was invited to the tournament in Biel, which had an interesting line-up, is a wonderful place and has a very good playing hall. I played unevenly. Yes, some games were unconvincing, while some worked out. After all, in order to win in classical you need to play it more regularly and not like I do: once every half year. In rapid, perhaps, it would have been easier for me. 36.Qxg7+ (true, 36.Ne7+ also wins a bit more prosaically) 36…Qxg7 37.Ne7+! and Sanan resigned, since after 37…Kh8 38.hxg7+ Kxg7 there’s 39.Nf5+!, forking the king and bishop. 20.Rxh6!! and Alexander resigned. After 20…Kxh6 21.Rh1+ Kg7 22.Rh7+ the black queen is lost. None of Black’s possible defences avoid losing more than the h6-pawn. In general, does the concept of style actually exist anymore? Or is it all now move by move, tempo by tempo? Yes, to a certain extent it exists. Could you say what your style is? 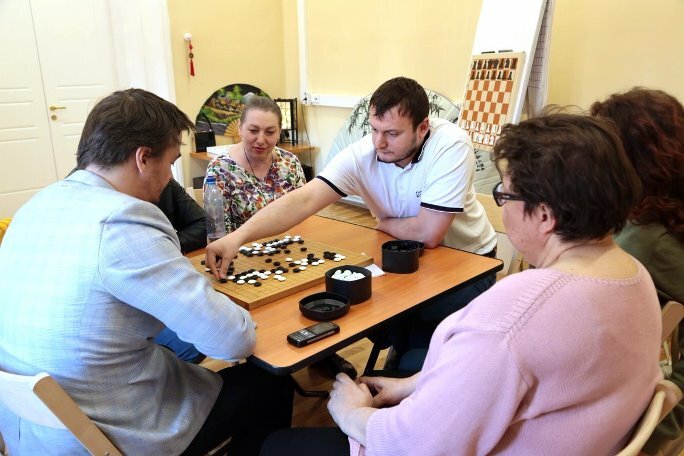 Previously I often heard the phrase, “no-one understood a thing, but Morozevich won”, suggesting that you play a somewhat different chess from others, as if you have a different vision of chess. Is that tactics or, on the contrary, deep strategy? It’s hard to say. When I was just starting to play Go it was a surprise to me that I started to look at some normal aspects of chess, ones I’d never really thought about, from a different perspective. For instance, at the level at which I play Go (although perhaps it’s after all a mistaken perception because my level isn’t high), it’s curious that I can go to a game and play in the style I want, and it’s not important to me what my opponent wants. That doesn’t mean it will lead to victory or that it will be effective in the context in which the game develops, but essentially I can continue for quite a long time almost paying no attention to what my opponent is doing. In chess, it would seem, it should be easy for a professional to try and play how he’s capable, but in reality it turns out that it’s very hard for me to predict even roughly: will I be able to get this or that type of position, or this or that character of struggle that I want. Since in chess an awful lot is forced, you’re too dependent on your opponent from the very first move. And, naturally, when you get closer to the very top, where general technique, defensive technique and general knowledge is of a very high level, it’s quite hard to say for certain, for example, that today will be a lively game. Perhaps you came in a mood to mix things up, but whether it will work out or not is a big question. And if, come what may, you want to mix things up on a particular day, then you have to realise that the cost may be pretty high - at some point you’ll have to bluff or go for a dubious sacrifice. In Go, meanwhile, you don’t put such additional obligations on yourself if you stick to some kind of style. If I plan to play aggressively in Go then for a while, in principle, it doesn’t demand any kind of sacrifices from me and it’s instead just a certain approach to how I play. Perhaps if I use my stones incorrectly and launch an incorrect attack then my opponent will take everything and win the game, but there will be a game. In chess, if I arrive in the mood to attack I can come up with some kind of corresponding opening repertoire - a fresh idea, not even with the thought of getting an advantage, but simply to take the lead and confuse matters - but it’s very hard to say what will actually ensue. And you have to realise that technical chess players nevertheless have an advantage – romantic chess has gone. The way I played in Biel was aimed not so much at getting a result as at making it interesting for fans to watch, since there’s no sense in playing for a result if you play one classical tournament a year. You start to think about the result if you’re regularly defending and if you play tournaments all the time. Then you can set yourself some kind of goal - to qualify for something or gain some kind of rating - but if I’m playing just for myself, a maximum of two tournaments a year, then that makes no sense. Therefore in particular the game against Ruslan was, of course, clearly playing for the public, with a great element of risk, at the limits of what’s permissible. A great chess player decided to mix things up in St. Louis, and I’d like to ask, what did you think about Kasparov’s appearance? Did you expect better? Did you expect worse? It would be pretty foolish of me to expect something from Kasparov, since in general I don’t know how he lives, how he works, how much time he spends or what kind of condition he’s in. So how can I expect something from someone if I have no idea about his life? In any case, he ended his career quite a long time ago and, in contrast to me, he really did end it i.e. he doesn’t play officially anywhere, so it’s very tough to predict how he’ll play. Last year he didn’t play badly at all: he scored +1, put up a good fight, achieved a huge number of won positions and it was clear that he’d specially prepared some systems purely for blitz. You could sense similar preparation this year as well. It was clear he hadn’t come to play empty-handed, but somehow his play wasn’t convincing. Again, it’s hard for me to say what affected his play. On the last day he relaxed and played roughly the same as I expected he would play the whole tournament. I thought, of course, that he probably wouldn’t have enough fuel to fight for first place, but to put up a fight and give people headaches was something I thought he could do to many.